Can you imagine how it would feel? What would I remember on the ride back home? How many memories would I carry within for the next day, and then the next, and for all the days after that? What songs would I sing after I returned? What stories would I tell and memories might I write? On August 28, 2013 I thought all day long of what I would have remembered if I had been there in 1963 with the March on Washington with Martin Luther King Jr. or on March 6, 2012 with Andrea Keller, a graduate of WTAMU. At our Buffalo Bookstore we sell college textbooks for WTAMU and on this day I sold a book for History 1302 with the photo on the cover of Civil Rights Advocates singing in protest in front of the Washington Monument for the March on Washington. Remember that in 1963 those returning home would have faced the same discrimination they had left behind. How much worse was it in their communities for those filled with the glory and inspiration they carried home? I can only imagine how angry their employers must have been for those attending in Washington to take time off to participate in something those in the rest of the country felt was an act of rebellion against the status quo. Those brave and courageous souls knew the backlash was going to be horrific but they were willing to take the leap of faith to feel moments of celebration. Of course they knew that things wouldn’t change over night, or over years, but they knew there WOULD be change and excitement to share with their children as well as their grandparents. Andrea Keller was named as “20 Educators to Watch in the Nation” by the National School Board Association and was given this award in Washington DC. On the morning she received this honor she stood on the steps of the Lincoln Memorial and skyped with her class back home at Stipes Elementary in Irving Texas. She skyped with us first to make sure everything worked perfectly before she connected with her class. The substitute teacher said the excitement with her children with Autism was so special and the ultimate field trip for those who might never get the chance. When Andrea returned home she didn’t face any discrimination or ugliness. She didn’t fear for her life as those attending the March on Washington. Andrea would go right back to teaching and living her life without a fear of reprisal for celebrating her God-Given Freedom. Her memories might not be as serious as those in 1963, but this doesn’t make them any less precious or meaningful because I know that Andrea doesn’t take this memory for granted. How do I know this? I believe this deep down in my heart and soul because Andrea Keller is my daughter and I witnessed her skype from the steps of the Lincoln Memorial. I wish I could write the words for great speeches…stirring, moving, inspirational words to launch a movement. I can’t. EVER. But this doesn’t mean I don’t appreciate the words of others. I love to share and the greatest joy I celebrate in my life is to gather the stories and pass them on. For example, in the Amarillo Globe News on this day is a story about Lisa Lawrence and her memory of facing horrific ugliness when she and her friends, after finishing her first year of college wanted to go to the movies at the Paramount Theater in Amarillo Texas. They were denied because they were “colored” so they circled in front of the theater until they were arrested for disturbing the peace. As writers we need to center ALL our gifts together and realize that however we connect or whatever we treasure is just as important and relevant whether in 1963, 2012 or August 28, 2013! They represent those “brave knights and heroic courage” for every generation! Can you imagine what Abraham Lincoln saw from His vantage point? OH, I wished I could have been there! So many years ago when I was a little girl my parents bought us a set of “The Children’s Hour” books. I loved to read and pored over these time after time. One of the most treasured was “Favorite Fairy Tales” and one of the stories within was “The Happy Prince” by Oscar Wilde. Sunday evening I remembered this story but wasn’t sure which book it was in. I googled the one phrase that came to mind which had to do with plucking out the jewel in the statue’s eye and sharing it with another who was poor. It didn’t take me long to locate the book and then to find the pages and then to read the words out loud that Wilde had written so very long ago. I wept with the beauty and the memory as my heart was so full. 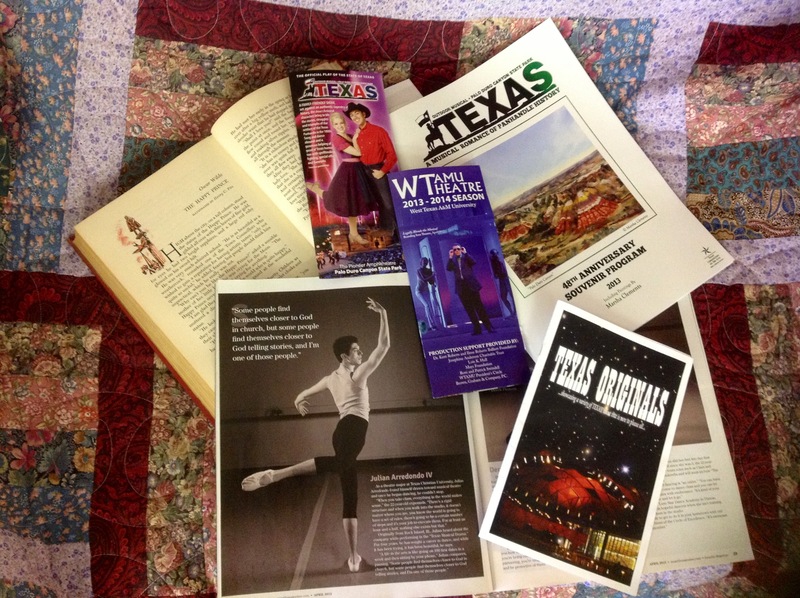 On Monday morning I was looking through some old magazines and came across the Amarillo Magazine with the cover story of the Lone Star Ballet titled, “FULL CIRCLE” and I wept with joy of all these kids. How was I to know? I wept again when I heard of the tragedy of the loss and destruction of the wonderful kids of the “TEXAS” cast and crew! I had just attended “TEXAS ORIGINALS” and saw these kids perform. In fact I congratulated Eric Harrison as he made his way up the aisle after receiving his scholarship that night. And to think that I witnessed these kids who choreographed and performed with Tim Johnson, Clint Diaz, Amanda Starz, Andrew Duncan, Julian Arrendondo IV. I also can’t tell you the number of performances I witnessed at the Branding Iron Theater under the direction of Royal R.Brantley and Stephen Crandall. “Anatomy of Grey” will always be one of my favorites. For those of you who have read my Wordsmith six blog over the past year know that I hold a precious place in my heart for memories of “TEXAS”. There are so many wonderful people to numerous to name, but my thoughts and prayers are with all of you not only in the cast and crew this year, but since the beginning of time that this dream began. The Dowlen’s, Gene Murray, Lois Hull, HR and Thelma Fulton, Claudia and Mike Wilson, the entire Brantley, Raillard, Moore, family..the list goes on and on and I remember each and every one. And the canyons themselves. I hear the echos, and see the flashes, celebrating the music that resounds against the walls and through our hearts. I marvel each time I go to see a performance at the names engraved in stone in the front wall of the Phebe Warner’s and those on the back wall of all those who gave their time and their very soul to this endeavor. And Jerry Williams. Kris Miller does an awesome job, always, but I still miss Jerry and always will. Jerry and Ruth Holladay performed together as “Patchwork” storytellers. Jerry wore a silk patchwork top hat and Ruth wore a patchwork vest with pockets. In fact the last time I saw Jerry was at “TEXAS” when he would walk up and down the line of visitors waiting to buy tickets and visit and share stories. You could always see his colorful top hat as he moved from one guest to the next. Ruth never knew what story she would tell until she got on stage. She would put her hand in her pocket and pull out an item and what ever she held in her hand would be the story she would share. There are no words for the grief we all share together! How can the Kunherts and the Hernandez and the Bertrands families bear it? And Christie Spring, how many lives have touched hers as these kids came through. I know Vickie McLean has an ache deep in her heart. And David Yirak, what a tremendous man to feel such loss! I know Timothy Johnson will carry the pain forever, but I wish for him such peace. And Theron McSay…I pray has comfort for him and his family and friends as he heals from his injuries. After the death of Mother Teresa and Princess Diana I wrote a letter to the editor of the Canyon News that there were so many wonderful people among us that didn’t make great speeches or hold office but they touched our lives just the same. I wrote of David Schutte who rode the Canyon rim night after night with the Texas flag unfurled. I will always miss David. Our thoughts and prayers also go out to Harry Haines and their family as they mourn the loss of wife Shirley. She will be missed as well. Shirley was the one who invited me to join the Friends of the Fine Arts Club as she knew I so loved the fine arts. She was very precious to me. So much loss for our community. The final words of “The Happy Prince” are so simple, but so touching and I hope that sharing these will bring a tinge of comfort to anyone who reads them. “What a strange thing!” said the overseer of the workmen at the foundry. “This broken lead heart will not melt in the furnace. We must throw it away.” So they threw it on a dustheap where the dead Swallow was also lying. I have no doubt in my mind that these kids are singing and dancing forevermore on the streets of the city of gold, and they will always have the best seats in the house. Break a leg to all! The performances you will all have to give in the coming years on the world stage will be the hardest to bear. Today I was reading the letter to the editor in the Amarillo Globe News from Kathleen Hess about Paula Deen and repentence. Then I was reading on facebook the blog Shawn Smucker wrote that connected to the ugliness of the headline news of Trayvon Martin and George Zimmerman, but with a wonderful twist reflecting Temarr Boggs and heroes. From both spectrums I was reminded of so much. I remembered a time several years ago at our family owned business, the Buffalo Bookstore. We sell Scantrons for taking tests at WTAMU. They are only a quarter apiece and sometimes the kids come in wanting to pay for their purchase with a credit card. It costs us more to swipe the card and we don’t want them to miss taking the test so we tell the kids to bring back the money another time. One day I was working by myself at the store when a young black man came in the door. He had a dark hoodie pulled over his head with his hands deep in his pockets. Please understand that we are rarely frightened. We have every nationality, color, culture, size and religion come into our store. We see hair dye and body art of all shades of the rainbow, piercings we can see and others we are glad that are hidden from view. What scared me about this particular young man is that he wouldn’t look me in the eye. He came in downcast with shoulders hunched and head bowed. So what happened next was unexpected. As he got closer he began to pull one hand out of his pocket. Not sure whether to run or collapse I stood rooted to the spot as he silently held out his hand, and opened his palm in which lay twenty five cents with two pennies for tax. He was paying for a Scantron he owed for. His discomfort was because of his embarrassment in returning a debt he owed, not sure how he would be received or what he would have to explain. Ever since that day I have wanted to write a letter…a letter to the editor, or maybe a letter to his mom, dad, teachers, pastors, grandparents,Sunday school teachers, scout leaders, or for anybody on his journey who would listen. To tell them they had raised a good man, that they should be proud of him, and that they taught him the lessons in life that would stay with him forever. This young soul has since graduated from college and I am sure he is now somewhere out in the world. I would have loved to have written a letter of recommendation to his future employer or the corporate executives. I think anyone and everyone should have known of this man and what he would mean to their company. He would be a good and loyal employee his entire working life. So many years ago after the death of Princess Diana and Mother Teresa I wrote a letter to the editor reminding readers of the Canyon News about all of the people we celebrate that touch our lives. They are not celebrities, do not make grand speeches or hold office, but they mean so much just the same. I mentioned J.C. Newton and what he had meant to so many in our community even though he had been gone for several years. I received the nicest note from his wife Fern thanking me for remembering her husband. I then called her to thank her for sending me such a sweet letter and she told me how she became a teacher. I was so touched and will always remember such a wonderful gesture from the heart. As writers we are so focused on our novels, or a story, a character, a completed work and even every chapter. We get so lost in our efforts. Many times we should step back and celebrate the simple things. What would it hurt to sit down and write a letter to the editor regarding something that piqued our interest? No one says they have to be sent or exposed or even revealed. We can bury them deep within our computers never to see the light of day. But then again they can be a reminder of what we are feeling at the time, what is in the headlines, and who is involved in our government. But even more important, this may bring up feelings of ugly hatred, sweet joy, intense pain or exciting elation. Who knows what we might feel when we look back over our letters. This might just be the catalyst that can break a writer’s block or something that can add richness to our efforts, a wonderful tool to aid us as we journey through this life. Speaking of tools, did I mention that we give a free pencil every time we sell a Scantron? They can’t take the test otherwise. Our carton of milk outdated today, June 12, 2013. That doesn’t mean it needs to gurgle down the garbage disposal drain. This just means if I leave it in the refrigerator for another day or two the milk may sour, spoil, decay, or become odoriferous. I don’t know about you but spoiled milk is not palatable on any level, not even for cooking. The day my milk outdated also coincided with the funeral of Mary Huntington. Mrs. Huntington was the librarian at the old Canyon Public Library for so many years. She is the one who kept the library going when others felt it needed to be closed. Also she, with the help of her volunteers and co-workers transferred and adapted all the codes from the Dewey Decimal system to switch to the computer database for the Harrington Consortium. She also volunteered at her daughter’s elementary class to help the kids with their reading, and the whole family pitched in and taught the children chess. Mary meant more to me than anyone can ever know! When our girls were small I would take them into the library every week and we would check out a mountain of books to read at home. I told Mary that I was a failure as a mother as I just couldn’t seem to read Dr. Seuss. So even though I didn’t discourage the girls from checking out his books I didn’t encourage them either. She was such a tiny, mild mannered, little munchkin, and she looked at me sweetly and kindly and told me. “It’s because you are trying to READ Dr. Seuss”. Then she went on to explain that Seuss is not one you can read. She encouraged me to enjoy, and sing, and use expression and it will all come together. It worked and I have loved this man and MOST of his writings ever since. As I pour out my milk and replace it with a new carton in the refrigerator I will remember Anne Frank and Mary Huntington. And I don’t mean this in a bad way or any disrespect. Quite the opposite. I know this is a lousy way to express endearment, but please bear with me. Milk, fruits, vegetables, dip, canned goods, etc. will always carry an expiration date of a time that will end. Nothing can last forever that we put in our bodies. Our brain, bones, and organs need sustenance that will separate what we put in our mouths to what can be broken down and used for fuel. Books are different. Once they are written they NEVER expire. The stories they carry will last forever and never get old, a tangible expression of so many letters chained to words, connecting to sentences, linking to thoughts. They can be read over and over, and then read again. Books can be shared and dissected, treasured or argued, once and again. Isn’t that a lovely sentiment? Timeless. Everlasting. Forever. Never a death, never an expiration date. Heart and soul always intact. Never spoiled, never soured. Right there on the page in front of me. What treasures, what a gift! The only problem is, so many books, so little time. I’m the one with the expiration date. We had such fun at critique group last week. Everyone brought a strong story and shared. As usual we each had a take on what our characters were trying to say with what voice. I had found an article in the Amarillo Globe News by Chip Chandler about WTAMU’s “Anatomy of Gray”, the play at the Sybil B. Harrington Theatre. Caleb Brink who played the healer, Galen Gray, had kept a diary in Gray’s voice to try to better understand his character. I had everyone at critique to write a diary entry of their characters. We didn’t go into depth, but just used one liner’s to describe an entry as if they had written into their own journal with their characters voice. Boy did we get some zingers! Fun had by all, lifting the spirits from the serious side of deep characters from all across the spectrum. Now what could have made such a young man be so discouraged? He was homesick and so many ships had already headed west. He had LaGrippe (Spanish Flu) and I’m sure he didn’t feel well. His commanding officer had bawled the company out and that may have got him down. Who knows what was bothering him on this particular day. I think as writers that every once in awhile we need to write an entry into the diaries of our characters. We need to give them a “voice” so we can share in their thoughts and feelings. So many times we, especially me, just skim the surface, keeping everything hunky-dory with sunshine and rainbows. Our stories can become more real if we give them a moment to pause or tinge them with a little sorrow, or at least simply a heart. Writing a diary is also a timeline of the day’s events and everything about the weather. To think about it, after I took my first creative writing class and was working on my novel I took a daily planner and jotted down the sights and smells and sensations that surrounded me each day. I can still go back and read those entries and it whisks me right back to that time period. This Sunday represents the anniversary of the letter Colonel William B. Travis wrote to cry for help for his fellow Texans. This letter will be coming home to the Alamo for the first time since it left the mission in 1836. In all essence this correspondence is a diary entry. I wonder how many times Travis wrote the message in his head. Did he share it with Bowie, or Crockett, or any of the other men there with him? Did he really think anyone would come or was he resigned to his fate and those around him, and just wrote the words to keep up appearances, convinced that help was coming? During World War II Dorothy Gill wrote in her book, “Memories of World War II” that her husband and his fellow National Guard Texas “T-Patchers” carried a copy of Travis’ letter in the Standard of the American Flag as they stormed the beach at Salerno Italy. I wonder how many diary entries were written before and after the battle where they shared stories of home and loved ones, or even just the weather. Who knows what they wrote in their heart and soul. Tonight the weathermen predict snow, sleet and treacherous roads. We plan on having another critique group meeting tomorrow evening if the weather holds. I wonder what we will write in the diaries of our characters as if they were facing the same events. I don’t think sunshine and rainbows quite fills the bill. I am besieged with a thousand or more of the Mexicans under Santa Anna. I have sustained a continual Bombardment and cannonade for 24 hours and have not lost a man. The enemy has demanded surrender at discretion, otherwise, the garrison is to be put to the sword, if the fort is taken. I have answered the demand with a cannon shot, and our Flag still waves proudly over the wall. I shall never surrender or retreat. Then I call on you in the name of Liberty, of patriotism, of everything dear to the American character, to come to our aid with all dispatch. P.S. The Lord is on our side—when the enemy appeared in sight we had not three bushels of corn—We have since found in deserted houses 80-90 bushels & got into the walls 20 or 30 head of beeves. What an amazing day that was! For starters we began the day by opening our doors to kids buying their college textbooks for the beginning of the spring semester for WTAMU. Next, I spoke with the University Study Club at the First United Bank about the life of Gene Howe, founder of the Amarillo Globe News. Before I returned to the Buffalo Bookstore I dropped off an article I had found for Natalie Bright, a fellow Wordsmith Six blogger, connecting with the story she was working on. And then I received a call from our daughter, Andrea Keller, about the focus for her presentation this next week with, “Making Your Mark-Using Technology to Level the Playing Field.” She had been so excited to have been connecting with Peter Reynolds, who is the author of “The Dot” and founder of International Dot Day. Also on this day I received the news of the tragic death of A. J. Swope and Melissa Flores. What pain to mar so many glorious moments! If I was told I would have to divide up my day and choose what events, on this particular day that touched my life above all others I couldn’t do it. Each second, and every encounter made their mark on my heart and touched something very deep in my soul. Every woman in the University Study Club, past and present, had made their mark with their family within their community. Our college students buying textbooks represented the future of this generation into the next. Natalie Bright linked the legacy of writers far and wide. And even though I didn’t know of the life of Melissa Flores, I knew that A.J. had made his mark not only as a mentor, a husband, father, musician, and a friend, but that he was such a gifted man working hard with wind energy across the panhandle. At our writing critique group recently the question was asked about the content of our blogs and what they should contain. We all threw out our thoughts and ideas about the focus of Wordsmith Six and how it pertained to writing. Each of us had different opinions, and each valued for their merit. This reminded me of the conversation I had with Andrea the night before I was to give my presentation for the study club. She wished me luck and her advice was to stay on topic and to focus on the subject at hand. She knew for me that was an impossible task, but she threw it out anyway. My fellow bloggers also knew full well the hurdles I faced each week as I tried to pull my thoughts together in a disciplined fashion. Craig Keel, bless his heart, set up our blog in the very beginning and keeps us up and running. He is helping all of us to make our mark. As writers we are treasured for our flexibility. Our words are our marks, but more importantly they represent every connection we can link together. We realize we are not only putting words into the hands of the reader, but every moment of every day we are constantly sharing our imprints with those around us in whatever way we can. I personally feel my greatest gift is to find a quote, or an article and to pass it on to the person, without even knowing, who may need this thought to add to their own. I don’t do this to complete their project, but hopefully to enrich the story itself. I know that my purpose in life is not to be the keynote speaker, but to share with those who will speak FOR not only me, but for those who have no voice. And also for those who have the courage to stand and share my voice with others. What a gift! We will each grieve in our own way for A.J. Swope from now until the time we see him again. I wish his friends and family peace as they move forward in a life empty of his spirit here on earth. His life cannot be measured in a focused way of only one topic. I know that future generations will come across his mark and remember. And that is what I wish for us all. Please remember to attend the Panhandle Professional Writers bi-monthly meeting at the Amarillo Senior Citizens, January 19, 2013. Linda Castillo will be speaking on “Writing the Thriller” for the morning session, and Jennifer Archer’s topic will be “Channeling Your Inner Teen, Is Writing for the YA Market For Me?” These two women are our own and are marking their mark in a big way. This will be a fantastic event to celebrate writing in the panhandle!! Every writer, no matter the genre, will be able to glean something that will help in their writing. I don’t know what I feel each time I watch the viral video of Karen Klein being bullied on the school bus. There are no words. None! Of course there is disgust and there is anger, and there is dismay, and there is outrage, and there are tears, so many, many tears. It was so hard to distance myself from the words of horror I had witnessed so I approached it from a different angle. I decided to Google Greece Town New York, the city where the incident occurred. It seemed like such a pleasant place filled with a cross section of humanity. Who knew the town with the motto of “discover the promise” would harbor families that raised such ugliness. Sort of like our own Tulia Texas who faced a tragedy of its own a few years ago. Still there were no words. I can only imagine the pain Karen went through listening as they taunted her. What gave her the grace to not lash out at the kids? How many times did she face this in the past? What words did she carry in her heart and soul that brought her peace with each mile she rode? No one knows, no one can fathom…ever, forever! And then there is Sandusky! Everyone needs inspiration! We face unspeakable horrors, pain, and tragedies, but also tremendous joys and celebrations. No matter the media we still need to discover the words that keep us whole and sane and center our soul. Those of us who love to write try to find words in everything that crosses our path. When I put pen to paper or fingers to computer I want to set down all thoughts and every feeling. It is important for me to make sure each and every person understands what I am trying to say whether they want to or not. I know I need to focus, and tighten. There is no question I have a problem, but I need this. I live for this. I cherish this. In all the terrible destruction in the world with writing I can find a solace in my soul. And I think this is why attending writing conferences like Frontiers in Writing matter so much to me. As I sit in a room with others I soak up inspiration from not only the speaker, but each person in the room. The questions they ask and even the way they frame their queries gives me a glimmer of hope. At the very least I find a quote phrased in-between the ideas. I can study the characters around me at the same time. Names, plots, settings, emotions, all find their way into my psyche and my notes. But you don’t always need to share just with written words. Take for example Delbert Trew’s column in the Amarillo Globe News about his family’s mercantile store. When I read the article I knew the words would be perfect for Biffle and Cross Mercantile for the opening of the new Pioneer Town at the Panhandle Plains Historical Museum. I made copies and carried them over and placed them in the store. On the way back to the Buffalo Bookstore I just had to stop under the shadow of the American and Texas Flag at the entrance to the museum and take pictures of the flowers planted there. Sunflowers are always special as they bring up memories of my daughter. Her words are that you always have to smile whenever you see sunflowers. There are no bad memories associated when you share the beauty of these bright, yellow treasures. This weekend hosts many different events in our area. The Frontiers in Writing Conference will be held at Amarillo College and sponsored by Panhandle Professional Writers hosted with PPW president Matt Sherley, and chaired by Natalie Bright with guest speakers of Candace Havens, Jodi Thomas, John Erickson, Jeff Campbell, Hilary Sares, Craig and Nancy Keel, Chris Stewart, Mary Lou Cheatham, Joe Trent, and so many others. Jim Gleason at Barnes and Nobles also will give a presentation about publishing. And the Panhandle Plains Historical Museum will be hosting the grand opening of Pioneer Town-a long awaited celebration. WTAMU will be sharing along with the English Department, The Legacy with selected readings and open mic at the Palace Coffee House on the courthouse square in Canyon Texas. The musical drama TEXAS continues in Palo Duro Canyon, and Canyon is gearing up for July 4th. I urge everyone to take advantage of the wonderful opportunities in our community. We have so much facing us in the future and need to take these moments to heart. Don’t miss a single moment to celebrate the rich legacy and heritage that surrounds us. 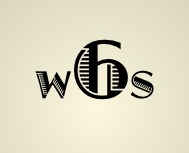 As a writer, Frontiers in Writing meets every need for those who love to write and share. Just as in the case of Karen Klein, it will help us to find the write words. My husband was outside mowing as I was finishing up this week’s blog on the first day of summer. With the recent rains he was already behind in keeping the weeds at bay. In the house I had just cut up a cantaloupe to put in the refrigerator, really wishing for homemade ice cream instead that signified a return to summer memories. Within the last couple of years our area had faced deadly drought, reminders of the dust bowl days that once had sucked the life out of every living thing, wildflowers included. May 29th celebrated the 70th anniversary during World War II of Bing Crosby’s recording of “White Christmas”. Jeff Messer, the chaplain of Bivin’s Foundation had posted in the Amarillo Globe News about the story, and described what a morale booster this was for those in service and those on the home front. When I think of Christmas like everyone else I picture glittering snow, shiny tinsel, curling ribbon, rolls of wrapping paper, evergreen and holly wreaths, and of course Santa Claus. You wouldn’t think that summer months are the perfect time to remember the holidays, but in all actuality this is a great time to set down family memories. The Otwell Twins describe dressing in holiday costumes when it was still sweltering in California. The Lawrence Welk specials were taped in late summer, and they told me it was hard for everyone to get into the Christmas spirit weighed down with heavy velvet under the hot stage lights. Jack Sorenson tells me that when he gets ready to paint his Christmas Santa his wife turns up the air conditioner and decorates his studio in twinkling lights encircled around the tree. The only thing missing is the yule log crackling in the fireplace, and gingerbread cookies along with a glass of milk waiting on the hearth for ole Saint Nick. For years publishing houses and magazines called for submissions six months ahead which meant that June is the time for holiday stories. With the Internet and Facebook you would think that you could wait until at least the fall to send in polished work, but they are already deciding what will go into those issues. Chicken Soup for the Soul is one example that needs those tales shared. Even if you are not interested in sending in a story of Christmas or Hanukah celebrations or disasters, now would be a great time to stretch your writing skills. As you are watching the grass grow or melting in summer heat pull out your writing utensils and try to capture the shiver of building snowmen, the warmth of hand stitched quilts, the smell of pecan pie and so on and so on. Take every little bit of the experience and shape it into a story. Write a poem and weave the threads together. Pen a song that helps you to remember just why you celebrate with your families and friends this special time of year. You may be surprised to find you have a classic on your hands that sends a timeless message to be read year after year around the family hearth. And now I think I will go get a piece of cantaloupe out of the fridge and imagine its snow ice cream, all the while dreaming of a “White Christmas”.